Small Claims Court… It's What We Do. Are you being evicted from your home? Is a tenant making claims against you that are simply untrue? If you’re in the midst of a landlord/tenant dispute, the legal team at MTS Paralegal Services can help. Call us or fill out the Inquiry Form so we can help you. 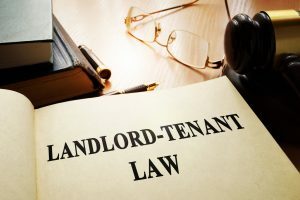 Landlord and tenant disputes can quickly become cumbersome, expensive affairs. Let us use our knowledge of landlord/tenant law to help resolve your matter, if necessary, we will fight to ensure that you’re compensated for any losses. We at MTS Paralegal Services represent local tenants, landlords and property owners in disputes related to evictions, unpaid rents, security deposits, unlawful occupants and more. Protect yourself from the unscrupulous activities of a tenant or a landlord. Let us provide you with the aggressive representation you need to put the matter to rest once and for all. Call today or fill out the Inquiry Form below to get things started. DISCLAIMER: The contents of this website have been prepared for informational purposes only and does not constitute legal advice.